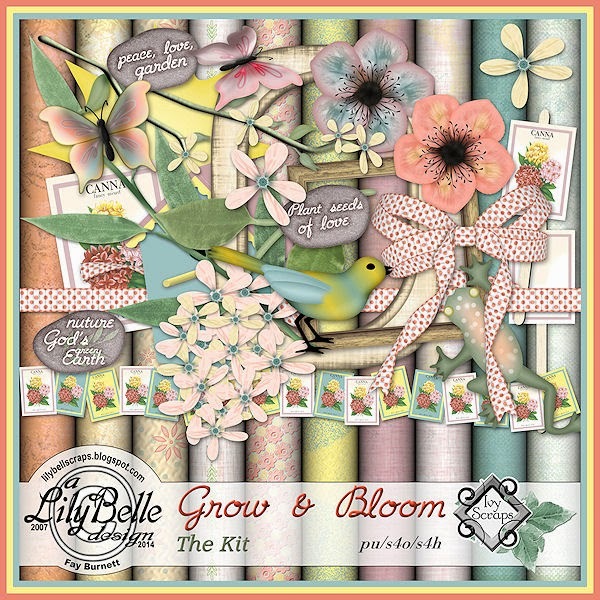 This little kit is currently available for purchase in my store at Ivy Scraps - BUT - you can get it for free by participating in two challenges in Ivy's forum - the ATC Challenge and the Calendar Challenge - from May 1st until May 31st. 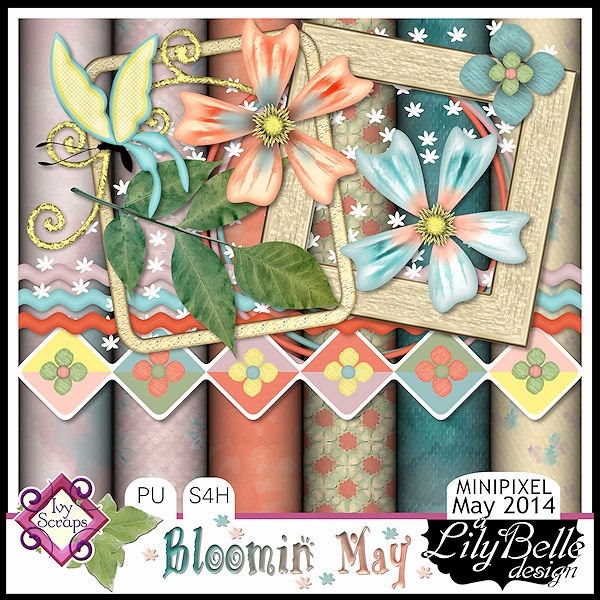 Grow and Bloom has the same colour palette as the Minipixel kit - Bloomin' May which will be available in Ivy's store on May 1st at a bargain price of $1. If you find this colour palette appealing, check out the many other $1 minikits that will be available on May 1st in these colours. 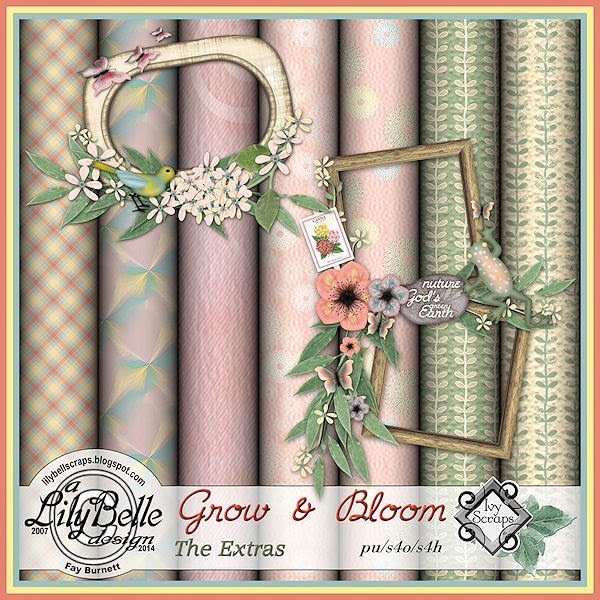 There will also be a few freebies available from the Bloomin May kit when it is released so check back on or about the first of May for the download links. Two of the freebies will be available to Ivy's Newsletter readers only, so if you think you might be interested, pop along to the sign-up page and subscribe before May 1st.